When Times are Tough, The Tough Make Money, this is absolutely true of the very wealthy and it's a worthwhile exercise to read up on what they do while the rest of us struggle just to get by. 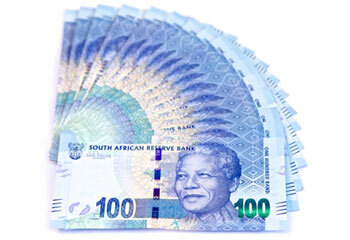 The economic situation in general here in South Africa is often troubled, and this year has been no exception (so far). And while things are certainly not all doom and gloom many South Africans are still riding out tough times financially. However, while you may not be able to control the economy at a national level there are some things, some fairly simple things, that you can do to shore up your finances, safeguard your future and even make more money while you ride out whatever the economy throws at you. It's very common advice when people are looking for ways to streamline their finances; make a budget and cut out the non-essentials. And many people do make an attempt to do so, and quickly fail miserably. Why? Because it is a change in behaviour that is very hard to take. Do you really have to spend your life working extra hard just to have nothing fun or enjoyable to show for it? The fact is that it’s much more effective if people cut back rather than cut out. Examine services you’re paying for and not fully using, like the cell phone plan with unlimited texting or the premium TV package. Are there less expensive options that would make you just as happy? Would bundling (buying several services from the same provider) save money? And do not just make arbitrary decisions and expect everyone to fall in line. Make it a family discussion, so that everyone is pulling in the same direction. Use credit cards only if you are going to be able to pay off your balances in full every month. Otherwise, stick to cash, checks or debit cards. That way when the money’s gone, the spending stops. 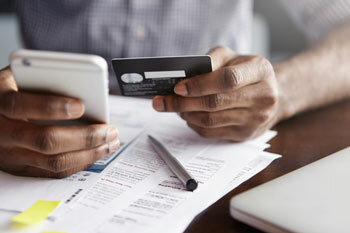 The average South African family will often face up to R28,000 a year in unexpected bills. For families already occasionally struggling to pay the bills, those surprises can trigger long-term financial problems. While you can’t plan what or when, you can have money set aside just in case. But you should go about building that rainy day fund in the right way. Rather than simply keeping money in a standard savings account to try to amass six months living expenses in an assortment of different liquid vehicles, like an interest-bearing money market checking account or even short-term CDs. One way to kick-start that fund: Shave off 10 percent of your take-home pay every time you get a check and have it deposited electronically. You can live another month without a new TV, and your kid can live without the newest game system until the price drops a bit. But properly servicing your car or home heating system could net you a nice savings bonus - as in extra cash in your bank account - thanks to better fuel efficiency and it keep you from having to shell out for expensive repairs later so these things are far better ways to spend your money when cash is a little tight. If money is tight the last thing that many people want to think about is finding the money to invest for retirement. But that day is coming, and the sooner you start saving the better. If you think things are a bit tough now imagine how much tougher they will get when you no longer have that monthly paycheque coming in to replenish your bank balance. 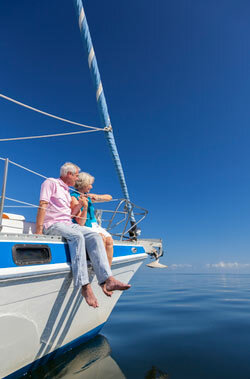 The fact is that it does not cost as much as you might think to save for retirement. Make an appointment to speak with a financial advisor to discover what the best options are to suit your personal financial situation. When Times are Tough, The Tough Make Money, it's true and we can learn from this by being tough on ourselves, being disciplined in lean times, imagine how much fitter your finances will be when good times roll in? Want to find out more about how to make your money work harder for You? Please fill in the form and one of our Financial Advisors will help you today. Your Home is your biggest investment Asset, is it working in your favour? Are Your 2018 Financial Goals on Track?